The Who were one of what I like to call the "Big Four" British rock bands to come out of the 1960s, the other three being the Beatles, Rolling Stones, and Kinks. While these bands were and are still known for their legendary albums from that era, all four were also at varying times heavily touring and playing to fanatical audiences across the globe. However, of these four it was the Who who were the ultimate road dogs, relentlessly playing anywhere and everywhere throughout the 1960s and well into the 1970s. While the Beatles retired from the road in 1966, the Stones slowed to sporadically touring certain regions in alternating years, and the Kinks were banned from touring the US from 1965 to 1969, the Who started in 1964 never slowed down until the end of 1973. Even then, they played several large concerts in 1974 and returned to large full scale touring in 1975 and 1976 before taking 1977 & 1978 off. Sadly, Keith Moon's death in September 1978 ended the original line-up of the Who and while they toured from 1979-82, again in 1989, and have been basically touring nonstop from 1996 to the present, it's the original (and in my opinion, the only real) incarnation of the band the evokes the most awe for their live performances. 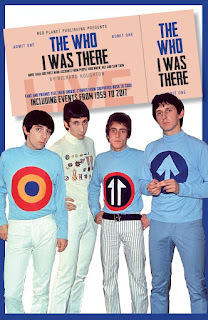 Continuing on in the same vein as the previous books in this series which document fan memories of the Beatles and the Rolling Stones concerts during their vintage 1960s/early 1970s years, I recently reviewed this next book in the series focusing on The Who. While the book is around 450 pages long, the first 410 pages are taken up with the Keith Moon era, to give an idea of where the focus of the book is (and rightly so). Starting with their earliest shows from 1964 in hotels, pubs, and small clubs and tracing their career to the stadiums and arenas they headlined upon become rock superstars in the late 1960s, the book contains memories (and memorabilia) from those who saw the band at all stages of their legendary career. As with the other books in the series, the gigs of the 1960s, especially, hearken back to a more innocent and inexpensive era for seeing top acts in concert. In additions to countless small gigs all over the UK and US before the band became megastars in 1969, some of The Who's most famous concerts have recollections from those lucky enough to attend. These include the shows at Leeds University in 1970, their Woodstock and Isle of Wight shows from 1969, their legendary 1970 Isle of Wight show, Monterey Pop in 1967, the Cow Palace (1973) and Boston Garden (1976) debacles, and Keith's two final shows at Kilburn (1977) and Shepperton (1978). Speaking of Keith Moon, a common thread running throughout the book is his kindness during interactions with the lucky fans who shared their memories in this book. While most people quoted in the book remember John Entwistle as friendly and Roger and Pete as hit or miss (either prickly or gracious), everyone who was fortunate enough to meet Keith couldn't say enough of how nice and friendly he was. There is even a story from a man whose father became friends and (briefly) business partners with Keith in the early 1970s. Being the self-proclaimed "biggest Who fan in the world," it's easy to see how Moonie would act this way with fellow Who fans. It's yet another thing that makes him one of the real characters in rock history and reinforces how tragic his passing in 1978 really was. The final 30-40 pages of the book contain memories of concerts from the post-Moon era of the band, mainly the immediate 1979-1982 aftermath (including the Cincinnati disaster on December 3, 1979). Beyond that are scattered memories of the 1989 "Who on Ice" tour (as it's derisively called by many fans) and their endless greatest hits tours from 1996 to present. One such show in 1997 I was lucky enough to attend, and while I didn't send my memory in for the book, I wrote about it here on this blog...you can read it HERE. As with the other books in this series, you won't learn anything new in terms of facts about the band or their music. On the contrary, many of the memories contained within have factual errors as far as which songs were played or when/where certain concerts were; I put these down to the length of time between the when the shows occurred and the fan recollections coming decades later. What this book does offer is another trip back to a simpler time when seeing a great live band only cost a few dollars, musicians were approachable, and rock was in its infancy. As it always should be, it was only about the music and the experience of seeing fantastic bands playing right in front of you. 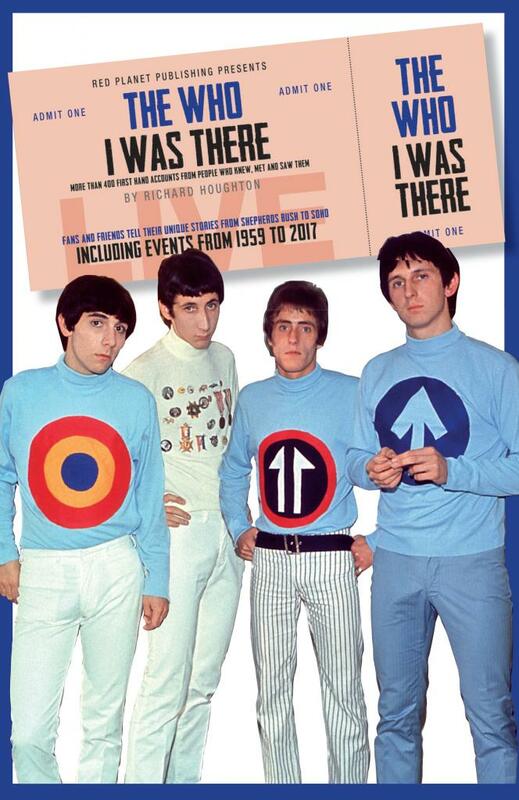 On those terms, The Who: I Was There is another fun time capsule and one any Who fan or fan of 1960s music in general should enjoy.